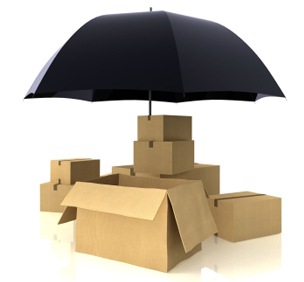 It is not unusual for us to be asked to place household or commercial items into storage. The most commonplace circumstances that lead to such a request are usually when there is a delay of some days or weeks between vacating a property and being able to take up residence in the new one. Needless to say, this is not a problem for us at all. We can happily arrange to put your goods into storage and you can be sure that they will be totally secure and fully environmentally protected while there. We are occasionally asked for comments on the insurance implications in such situations though. This isn’t really a problem area but your requirements may be very closely related to your exact circumstances. As such, it’s really far better if we speak to you about this subject rather than to try and give potentially misleading advice in a brief blog of this nature. However, as a general rule your items will need to be fully insured whilst in storage for what might be called ‘environmental disasters’ such as fire and flood etc. Theft might also need to be included though the specifics of any such policy can be confirmed at the time. It’s worth noting that such policies typically won’t cover what might be called deterioration due to normal wear and tear or aging. One theoretical example of this might be in a situation where you have packed a precious antique fabric that contained traces of moisture and whilst in the dark in storage, mould has developed as a consequence. Such circumstances are, in fact, exceptionally rare whether one is speaking of domestic or office removals. As stated above, let’s not speculate further on what your particular circumstances are and what information you will need to ensure that your interests are protected through an appropriate policy. Pick up the phone for a chat and will discuss it further with you.